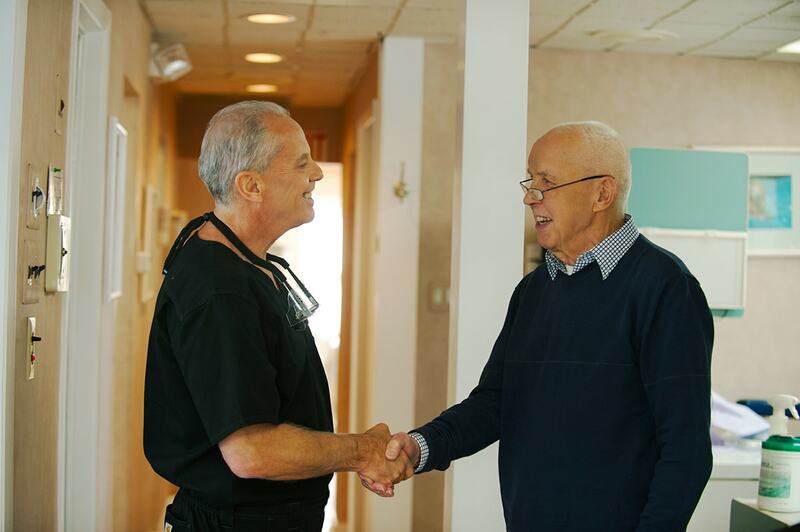 Whether you need a smile check-up or extensive dental work, our team at Thurm Dental in Collingswood, NJ is ready to help. We know that having a beautiful, healthy smile can improve your self-confidence and your quality of life. It’s amazing how many people tell us what a difference it makes now that they can eat the foods they like and talk to others without embarrassment. Dr. Thurm and his team provide dental care that improves your quality of life. He can help you with teeth grinding, TMJ treatment, full-mouth reconstructions, and periodontal disease treatment. No matter which service you need, our dedicated team will ensure you are relaxed and comfortable. Our team at Thurm Dental is committed to providing you and your family with painless and anxiety-free dental care. We see adults, teenagers, and children as young as three years old. Many of our patients have dental anxiety, and turn to us to provide a comfortable and relaxing experience through the sedation option that is most appropriate for their situation. We are honored that so many of our patients then refer us to their friends and family members. We take pride in creating a family atmosphere. Our dental office was formerly a house, and we want people to feel like they’re entering their dental home. Many of our team members have worked together for decades, and it’s a pleasure to help generation after generation of our patients smile more. One of the greatest compliments we receive is when a person tells us he or she is now a patient for life. Many of our patients had put off dental care for years because they were afraid to go to the dentist, but after their experience with us, they have set aside their worries and are now on a regular schedule for their teeth cleanings and routine care. Discover how we can help you and your family, too. Call us today at (856) 335-1775 to schedule your first visit. Tooth pulled, crowns removed, temporary bridge placed-no pain at all! The staff is very professional,friendly and knowledgeable. They always make you feel comfortable. Can honestly I have never had a bad experience and I have been a patient for over twenty years. I have been going to Thurm Dental for years. I trust Dr Thurm and his staff implicitly.Carol is always very thorough yet gentle when cleaning my teeth. I’ve been going to Thurm dental for 25+ years – always professional, nice and of course good at what they do! Excellent service geared to myself and my child’s needs.